Wal-Mart Stores should face a U.S. lawsuit accusing it of defrauding shareholders by concealing suspected corruption at its Mexico operations, after learning that a damaging media report detailing alleged bribery was being prepared, a federal judge said. U.S. Magistrate Judge Erin Setser in Fayetteville, Arkansas, on Thursday recommended denying Wal-Mart's request to dismiss the lawsuit led by a Michigan pension fund against the world's largest retailer and former Chief Executive Officer Mike Duke. A Wal-Mart spokesman said the company disagrees with Setser's recommendation, which is subject to review by U.S. District Judge Susan Hickey. District judges are not bound by magistrate judges' recommendations but often follow them. Wal-Mart's stock price, which is not known as particularly volatile, fell 8.2 percent in the three days after The New York Times reported on its investigation into the alleged bribery on April 22, 2012. That decline wiped out roughly $17 billion of market value. 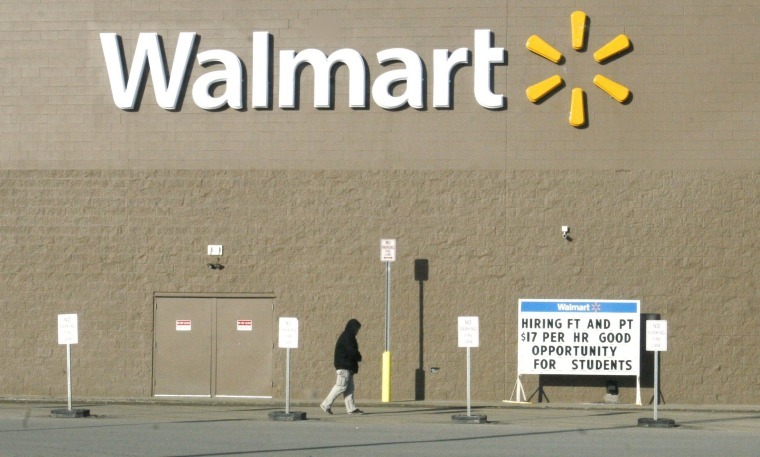 Plaintiffs, led by the City of Pontiac General Employees' Retirement System, alleged that Duke and other Wal-Mart officials knew as early as 2005 that the Walmart de Mexico unit might have been bribing local officials to open stores faster, but did not probe the matter adequately in 2005 and 2006. They said Wal-Mart should have "come clean" in a quarterly report filed on Dec. 8, 2011, soon after it had learned of the Times' investigation. Instead, they said the report, known as a 10-Q, was a "phony demonstration of vigilance and virtue" that made it appear that Wal-Mart learned of suspected corruption in 2011, addressed it appropriately, and reported its findings to the U.S. Department of Justice and the Securities and Exchange Commission. Wal-Mart faces probes by U.S. and Mexican investigators into the alleged bribery, including whether the Bentonville, Arkansas-based company violated the U.S. Foreign Corrupt Practices Act. The U.S. Congress also investigated the matter. Randy Hargrove, a Wal-Mart spokesman, said: "We respectfully disagree with the magistrate judge's opinion, and continue to believe that the complaint does not meet the standard necessary to move the case forward."